Tokyo, 1st of March 2010 - Tuna at Tsukiji wholesale fish market, biggest fish market in the world. Tokyo, 1st of March 2010 - Tuna at Tsukiji wholesale fish market, biggest fish market in the world. 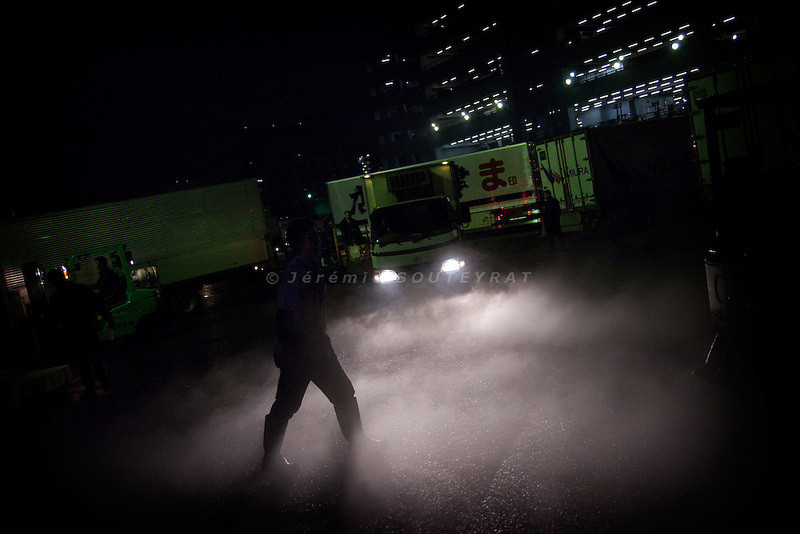 3 a.m, a man walking in the fog created by the frozen tunas taken out of the trucks.